UC Browser is the leading mobile internet browser with more than 400 million users across more than 150 countries and regions. This version is for mobile phones with Java. Propietary U3 kernel is optimized for mobile browsing. Fast, more stable, more battery saving and more powerful. La battery power saved on 300+ millon cell phones when using UC Browser equal acres of forests that would otherwise be burnt for energy generation. Stores latest browsed pages. Instantly switch between recently visited pages without the need to reload. Smart network adaptation technology. Powerful download management funtion. Ability to preview dcuments in multiple formats (docs, xls, ppt, pdf, zip, rar). Pause and resume compability. The first download link (For most Java phones) is the universal version of UC Browser for cell phones with Java. The second download link (Certificated Java phones) is for certificate supported Java phones like the Sony Ericsson K750. The third download link (Samsung Java phones) is for Samsung cell phone with Java like the GT-B7722 but most modern Samsung phone come with Java. The forth download link (Smaller version for most Java phones) is the universal version but for cell phones with smaller screens. The fifth download link (Smaller version for Certificated Java phones) is the same as the second but for cell phones with smaller screens. The sixth download link (For low memory Java phone) is for low-memory Java phones like the Nokia 6070 with a file size of only 128KB. Added new themes about FIFA World Cup. Fixed the problem of large file sizes not being shown correctly when downloading. Fixed the problem of users not being able to go to the right page when typing a page number on UC Forum. 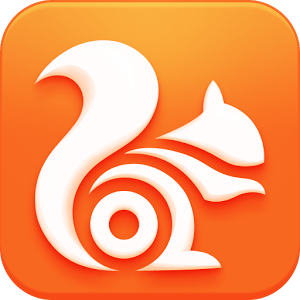 The most popular UC Browser by platform just got an update! The new Java 8.8 contains several new features and improvements, enhancing your browsing, downloading and sharing experience. The downloading speed for large files has been optimized. Now, when you are downloading a large-sized file there will no longer be a big drop in download speed. To make accessing your favorite webpages and using common actions more convenient, we’ve added the ability to bind a webpage or action to a shortcut key. So if you want to get to your Download folder fast, you can set it to any number 0-9 or a combination of #+number, and pressing those keys will take you there instantly. You can now quickly share content on Twitter. Long press what you want to share, then select Twitter in the Share menu. The File Manager has been enhanced with new features. You can now preview images and create folders for easier sorting of your files. Enjoy a new and improved experience with this version! Check out our site and also tell us what you think on our Facebook and Twitter, we’d like to hear your feedback.